Whether it be a new build or a carefully and beautifully restored renovation, Virginia has a plethora of new meeting spaces to get excited about for your next meeting or event. The 230-room hotel, Hotel Madison, is now taking reservations. It includes 50 extended-stay rooms and one presidential suite. With over 21,000 square feet of event space, the Shenandoah Valley Conference Center will offer multiple breakout spaces and will have the flexibility to host groups of ten to 1,200. 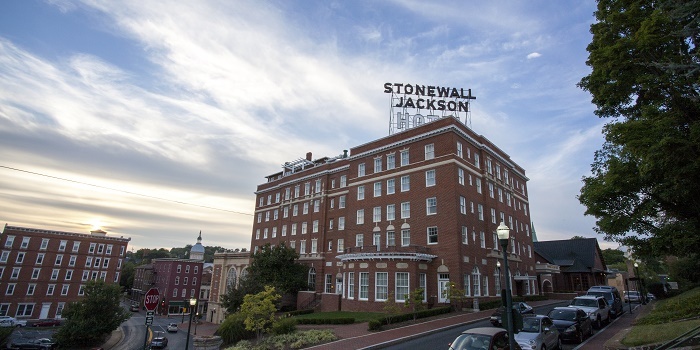 The Stonewall Jackson Hotel & Conference Center has undergone a complete renovation to historically preserve its charm while refreshing of all guest rooms and public spaces, including the conference facilities, swimming pool, and fitness center. The Draftsman, a vibrant upscale boutique hotel beautifully situated on W. Main Street in downtown Charlottesville, is now open. The hotel, a member of Marriott’s distinguished Autograph Collection, will have four event spaces equaling 2,380 square feet with a maximum capacity of 214 in the largest event space. The newly opened Hotel Weyanoke includes 70 rooms and four food and beverage venues: Sassafras, a bakery and market; Humble Pie, an artisanal pizza grill and market featuring locally sourced organic ingredients and family recipes; Campagna, an Italian trattoria and tasting room; and The Bridge, a rooftop refreshment retreat. The Virginian Hotel, Curio Collection by Hilton is now open after being restored to appear how it looked when it first opened in 1913. Despite looking historically accurate to the period, it will have modern four- to five-star hotel amenities, 115 guest rooms and 8,000 square feet of meeting space. The Embassy Suites by Hilton & Executive Meeting Center has completed its multi-million dollar renovation that includes all guest suites, public areas, meeting and conference areas. The Executive Meeting Center offers all-inclusive meeting packages in its specially designed conference space. Its self-contained center is dedicated conference space for 10-120, just under 10,000 square feet with a dedicated business center and dedicated Director and Conference planning team. The Holiday Inn Newport News at City Center is now open. Formerly the Omni Hotel, the Holiday Inn will offer 183 guestrooms, a restaurant and 11,000 square feet of flexible meeting space. The Cavalier’s long-awaited extensive $75 million renovation is complete. The historic hotel reopened spring 2018 as a 5-star member of Marriott’s distinguished Autograph Collection with 85 guest rooms, an onsite bourbon distillery, a ballroom for events, and a world class restaurant. The new Fairfield Inn and Suites Salem comprises of 113 total sleeping rooms. The property also has a state of the art fitness center, indoor heated pool and a small Board Room. A great feature of this hotel is its position located off the main Interstate but nestled in the mountains of Roanoke. Kimpton Lorien Hotel & Spa in Old Town Alexandria has completed a multimillion-dollar phased redesign to all 107 guest rooms including 16 suites, hallway corridors, public areas, adjacent restaurant BRABO, and its 5,600 square feet of meeting and event space, including two main function rooms accommodating up to 100 as well as the hotel’s signature outdoor suite terraces overlooking King Street. The new 168-unit Homewood Suites by Hilton Arlington-Rosslyn-Key Bridge is a LEED Gold-certified upscale, full-service, extended stay, all-suite hotel designed specifically with the extended-stay guest in mind. The hotel features 1,400 square feet of highly flexible meeting space, and a top-notch fitness facility with state of the art equipment. Projected to open in fall 2018, The Bristol Hotel will repurpose downtown Bristol’s notable Executive Plaza, which dates back to 1925 into a 65-room boutique hotel. It will feature a rooftop bar with scenic views and street-front dining serving farm-to-table style cuisine. The Western Front Hotel is a historic boutique hotel with 30 hotel rooms in downtown St. Paul situated between the Spearhead Trails and the Clinch River. The hotel will feature Milton’s, an upscale Appalachian Cuisine restaurant. It also includes a rooftop bar, gift shop, Music Hall, outdoor lawn and stage for performances, and a billiards/pool room. The post 13 More New and Renovated Hotels for Meetings appeared first on Virginia’s Travel Blog.